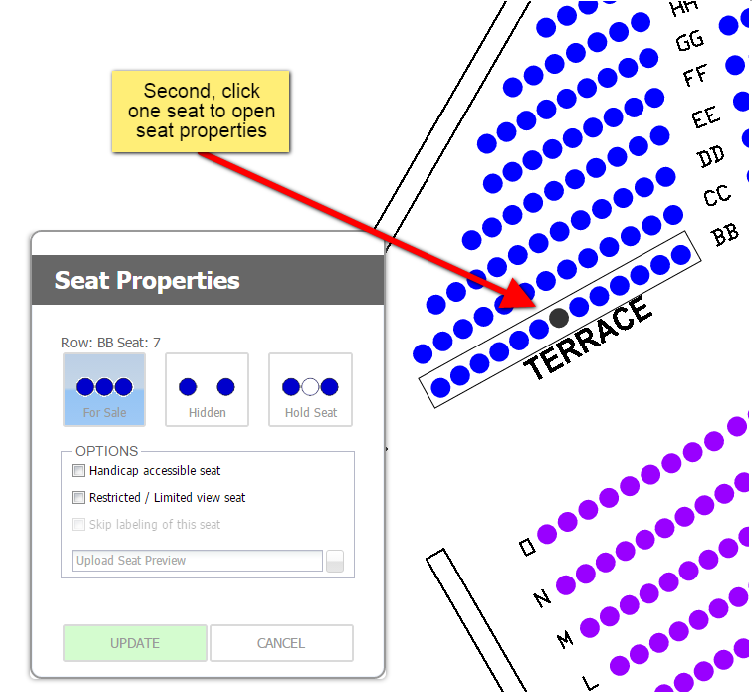 /Assigned Seating /How do I put seats on hold? First you need to decide if you would like this to be on your master map under “My Venues” or a map on a particular event. If you edit the master map, all future events that are not currently using it will have the changes. If you edit a map on “My Events”, only that map for that event will have the changes. To change this on “My Venues”, click on the “Edit” button. To change this on an active map go to “My Events” then click on “Venue” to the right of your event listing. When you are in edit mode on your seating map all you need to do is double click the row you would like to hold seat on. 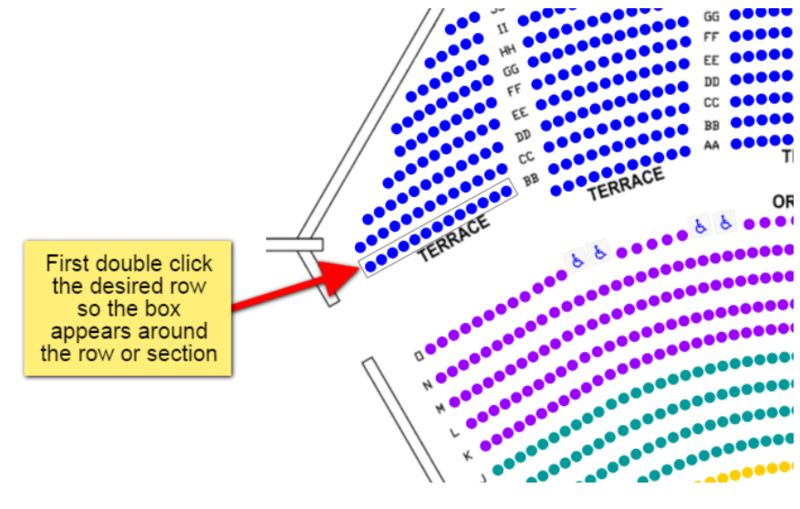 Once you see the row or section in a selection box double click on an individual seat. This will open up seat properties. From here you may select more seats if you wish by holding down the Control button (Command button for Apple computers) and selecting each seat with your mouse. 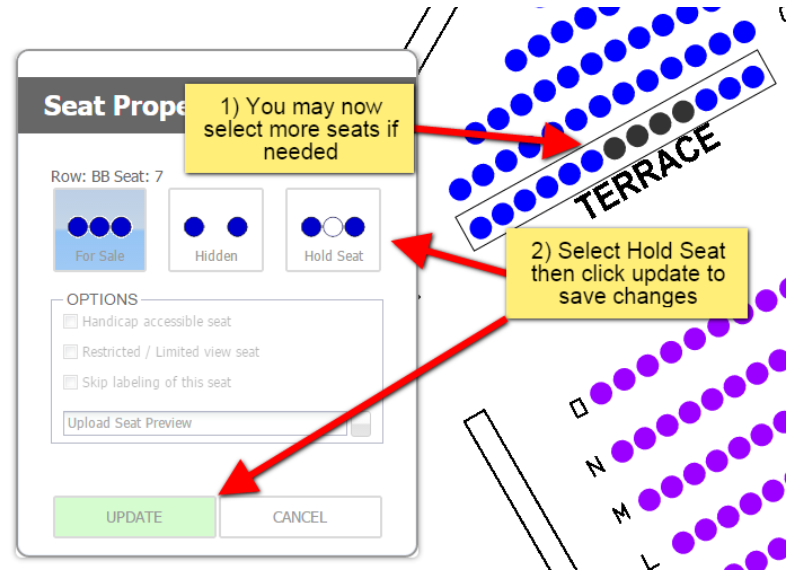 After you select all the seats you wish to hold click on “Hold Seats” on your “Seat Properties” then select “Save Changes”.